Why did Zacchaeus not have many friends? Why did Zacchaeus climb up in the tree? What did Jesus tell Zacchaeus? Where did Jesus and Zacchaeus go? What did Zacchaeus do after Jesus forgave him? Verse: Proverbs 3:5 - Trust in the Lord with all your heart. Name: Write the 6th letter of your child's first name using 3" Letters. - Tear green and brown construction paper and glue on the Zacchaeus worksheet tree. Color Jesus and Zacchaeus. - Draw a tree or make one using the child's painted arm and handprints. Draw Zacchaeus in the tree. - Head to the kitchen and sort silverware or containers and lids. Emptying the dishwasher is excellent practice for sorting various shapes and sizes. Ask the child to explain why he sorted the items in the chosen piles. - Introduce the letters Ss using the tactile letters and decorate the Letter Poster to add to the Letter of the Week book. - Write the letter "S" or "s" on 5 index cards. Walk around the house to find items that start with "s". Tape the cards to the item. For a twist, tape the cards to items and have your child find the cards. - Using index cards or flashcards, put the numbers in order from 0-11. 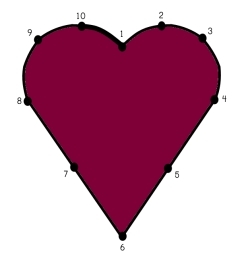 - Do a Heart Dot-to-Dot with numbers (1-10). Remind the child that he is doing the same thing that he did last week with the numbers on the floor; the difference is that he is using his pencil and not hopping. If the child is ready, introduce the sixth letter for writing. Just like last week, instruct the child to trace the tactile letter. If she is able to correctly form the letter, give the child the 3" Letter cut from the 3" Uppercase Letters worksheet and placed in a dry erase pocket. 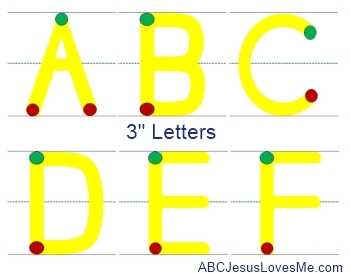 With a dry erase marker, demonstrate how to form the letter while saying the Letter Formation Chant. Then, allow the child to write the letter and use the green and red dots as reminders. - Silly and Sally are fun /s/ words. - Focus on the rhyming words. - Review the sequence of events. Using play dough, make a snake to form an “s."